NOAA’s Climate Prediction Center is forecasting a “near-normal” or “below-normal” 2014 Atlantic hurricane season. The main driver of this year’s outlook is the anticipated development of El Niño this summer. El Niño causes stronger wind shear, which reduces the number and intensity of tropical storms and hurricanes. El Niño also can strengthen the trade winds and increase the atmospheric stability across the tropical Atlantic, making it more difficult for cloud systems coming off Africa to intensify into tropical storms. The outlook calls for a 50 percent chance of a below-normal season, a 40 percent chance of a near-normal season, and only a 10 percent chance of an above-normal season. 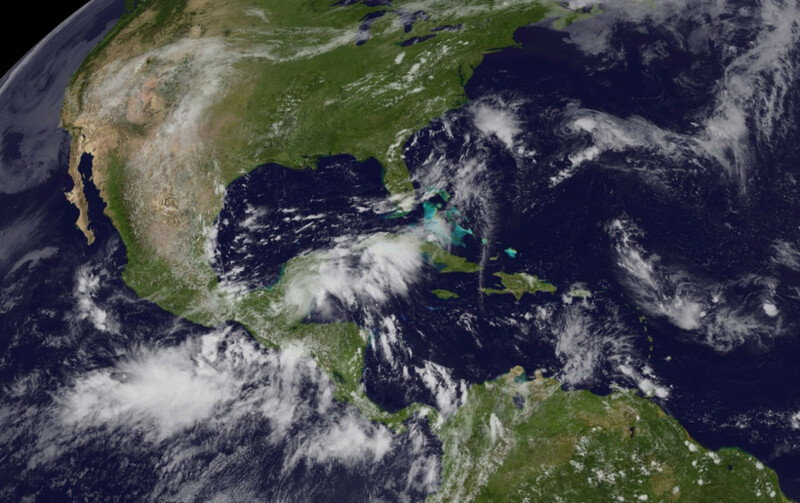 For the six-month hurricane season, which begins June 1, NOAA predicts a 70 percent likelihood of 8 to 13 named storms (winds of 39 mph or higher), of which three to six could become hurricanes (winds of 74 mph or higher), including one to two major hurricanes (Category 3, 4 or 5; winds of 111 mph or higher). “Even though we expect El Niño to suppress the number of storms this season, it’s important to remember it takes only one land-falling storm to cause a disaster,” NOAA administrator Kathryn Sullivan said in a statement. Click here for the full announcement.